Governor Bill Walker was elected a year-and-half-ago with a unique campaign strategy. He was a longtime registered Republican who cast aside his party, made a deal with then Democratic candidate for governor Byron Mallott to add him as his lite gov. running mate , and in so doing locked up support from Alaska Democrats. He then waged a campaign free of traditional party labels and won with a coalition of Democrats, Independents, and just enough Republicans breaking their party loyalty to deliver him a win. Is it possible that this kind of “to hell with party labels!” campaign will become more the norm in American and Alaska politics as we go forward? 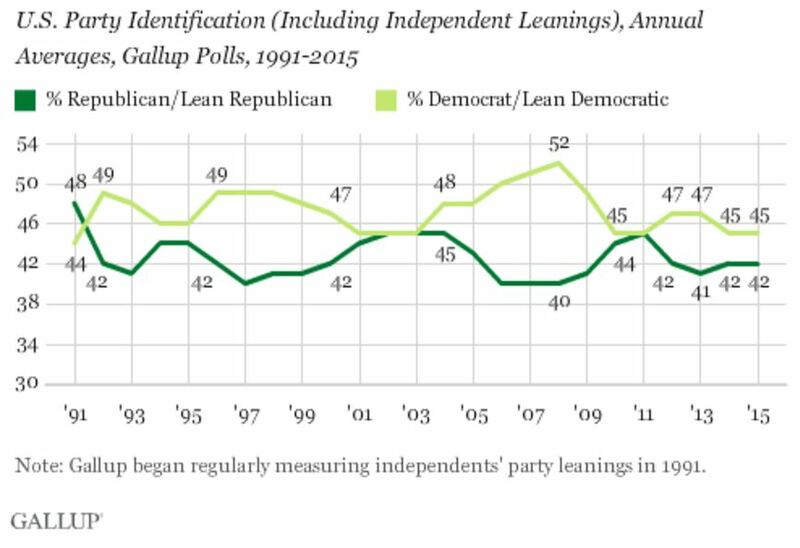 New numbers from Gallup suggest that might be the case. So with party loyalty falling and a strong anti-institutional wind blowing across the country don’t be surprised if the Walker strategy becomes more and more common. Be the first to comment on "New Data Suggests We Are In For More Bill Walkers"